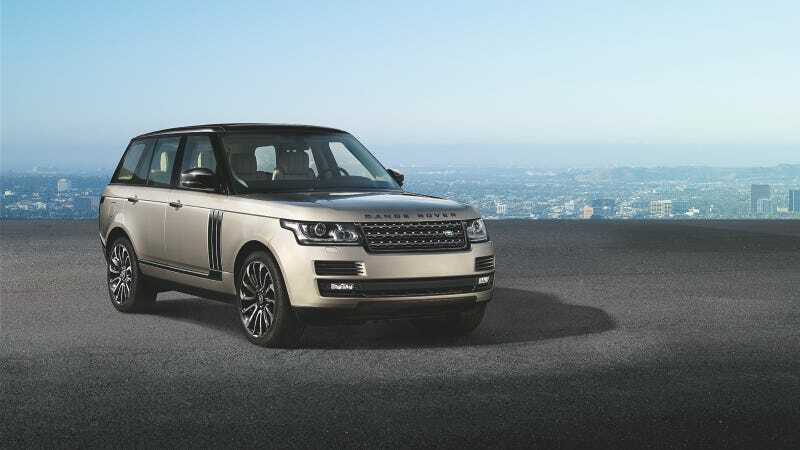 Land Rover announces upgraded Range Rover and Range Rover Sport models for 2014, featuring new technologies and offering even greater customer choice. The upgraded models will be available to order from 10th September with deliveries starting from early 2014. Depending on individual markets, newly available customer-focused driver assistance technologies will include: Traffic Sign Recognition, Lane Departure Warning and Perpendicular Park, while the new Land Rover InControlTM will deliver a host of connectivity features, keeping drivers and passengers in touch with their world. The choice of diesel and petrol powertrains is carried over with the additional availability of the powerful 4.4-litre SDV8 diesel in the Range Rover Sport, and the introduction of V6-powered, 340PS hybrid models (with CO2 ratings of just 169g/km) for both bodystyles. "The addition of the powerful and efficient SDV8 diesel to the Range Rover Sport line-up and yet more exciting new customer-focused technologies to both the Range Rover and Range Rover Sport for 2014, further underlines their position as two of the most desirable SUVs on the market today," said Land Rover Global Brand Director, John Edwards. The 4.4 SDV8 for fitment in the Range Rover Sport has a revised intake system including twin-intercoolers, a new sump, new cast alloy engine mounts (giving a 10kg weight saving) and optimised calibration. Developing 339PS and a massive 700Nm torque, the turbo-diesel delivers uncompromising performance and driveability in real world conditions. Driving through a ZF 8HP70 8-speed automatic transmission, the SDV8 powered Sport accelerates to 62mph (100km/h) in 6.9 seconds and reaches a top speed of 140mph (225km/h) when the Dynamic Pack is fitted. Depending on market, the upgraded Range Rover and Range Rover Sport are also available with two petrol engines; 5.0L V8 S/C 510PS and 3.0L V6 S/C 340PS, two diesel engines; 3.0L TDV6 258PS and 3.0L SDV6 292PS (the latter being available on Range Rover Sport only) and the recently revealed hybrid powertrain. Land Rover's first-ever hybrid models share an identical powertrain - the 3-litre SDV6 turbo-diesel engine driving through an 8-speed ZF automatic transmission with a 35kW electric motor-generator in place of the torque converter. Total output is 340PS and a class-leading 700Nm torque, generating acceleration to 62mph (100km/h) in under seven seconds. The new models achieve CO2 emissions of 169g/km and record 44.1mpg on the combined cycle. To further extend the personalisation choices offered to Range Rover buyers, the upgraded model will be available with a new Black Design Pack option. This pack is available on Vogue, Vogue SE and Autobiography models and features a range of parts finished in Gloss Black, including: Range Rover script on bonnet and tailgate, front grille, door mirror caps, exterior door handles, bumper vanes, side vent graphic, wheel nuts, tailgate finisher, plus a choice of a new 21-inch alloy wheels and a 22-inch alloy wheel with a new style finish. Inside Range Rover, powered upper seat articulation (for the driver and front passenger) has been added to the options, while rear seat passengers can benefit from the larger, optional 10.2-inch screens for the entertainment system. Parking will be easier thanks to the Range Rover and Range Rover Sport's existing Parallel Park feature being supplemented for 2014 by the addition of optional Parking Exit (which helps the driver to automatically exit parallel parking bays), Perpendicular Park (which automatically positions the car centrally in parking bays) and 360 degree Park Distance Control which provides virtual object tracking along the sides of the car at speeds of up to 10mph (16km/h). Available in selected markets, the upgraded 2014 models can be equipped with a forward looking camera mounted which monitors the vehicle's position between lane markings and the Lane Departure Warning system provides haptic feedback through the steering wheel should the driver begin to move out of lane without using the indicator. The same camera is used for the Traffic Sign Recognition system which identifies speed limit signs, no overtaking signs and a variety of other warning and information signs. In addition to the new-for-2014 features, the Range Rover and Range Rover Sport are available with a host of carry-over smart technologies to enhance comfort and safety, and ensure that drivers enjoy a relaxed and stress-free experience behind the wheel. Driver assistance features include Adaptive Cruise Control (ACC) with Queue Assist and Blind Spot Monitoring combined with Closing Vehicle Sensing, Reverse Traffic Detection and a surround camera system with Tow Assist makes it easy to hitch a trailer with minimum outside assistance. With the brand new Land Rover InControlTM connected car system, available as an option, three new connectivity components are added to the Range Rover and Range Rover Sport for 2014 - depending on individual markets. Land Rover InControlTM Secure tracksthe vehicle in the event of a theft using advance tracking technology, raising a silent alarm at a secure operating centre. Land Rover InControlTM WiFi ensures a high quality wireless connection for vehicle occupants with a 3G WiFi Hotspot which uses optimised 3G and WiFi antennas to overcome this problem.